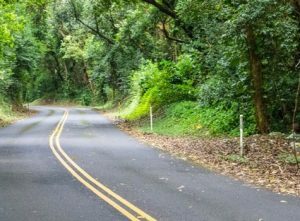 By selecting the appropriate speed before entering the curve, vertical delineation can provide drivers with a better appreciation of the sharpness of the curve and with continuous tracking information. 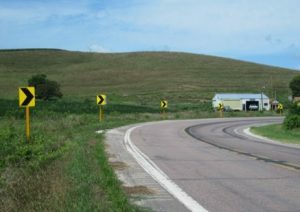 Once within the curve, vertical delineation helps position the vehicle within the travel lane while traversing the curve. 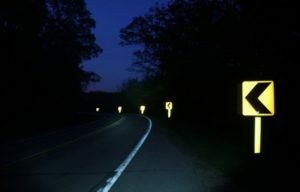 The most common vertical delineation treatment is post-mounted delineators (PMDs), which are flexible or rigid posts with some amount of reflective surface mounted along the roadside to provide additional delineation. Crash modification factors (CMFs) of 0.55 to 1.04 have been shown for PMDs. average decrease of 0.4 mph in mean speed and 0.7 mph for 85th percentile speeds was noted across four test sites. More information is provided in this technical brief, Vertical Dilineation (PDF), which summarizes information about vertical treatments relevant to Iowa.